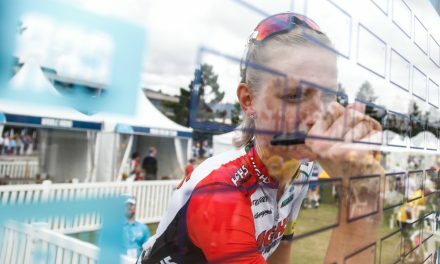 A. Georgia Baker is a 20-year old, endurance cyclist from Perth, Tasmania. Baker has been racing for the past six years and represented Australia on both the road and the track. Her favourite event on the track is the team pursuit and the scratch. On the road she really enjoys all disciplines but criteriums in particular. 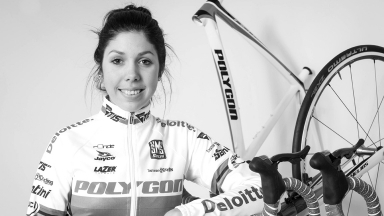 Before she was a cyclist Baker was a competitive triathlete and netballer. In her spare time she works for her family business and likes to cook and bake. 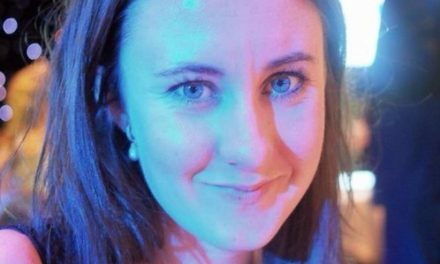 She is also undertaking a part time Police Studiescourse at the University of Tasmania as she has strong interests in forensic science. A. I started cycling at the age of 14. I was a part of the Talent identification Program run by the Tasmanian Institute of Sport that selected students from different schools to participate in physical testing. I was lucky enough to be selected for cycling and have been racing ever since. A. When I was younger I played many different sports such as netball, swimming, triathlon and taekwondo. Even though I do not participate in those sports anymore I am still really interested in them, especially netball. My sister is a keen netballer so I really enjoy watching her play when I get the chance. I also really enjoy cooking… mainly sweet things though (which can be bad) so I always like to help out in the kitchen when I go away with the team. Mountain Biking is also a new hobby of mine and I enjoy going for a ride at the Hollybank Mountain Bike Park whenever I get the chance. A. My biggest cycling result would have to be being a 3 x Junior World Champion. Winning the Scratch race at the Junior World Championships was very special to me and is something I will never forget. A. 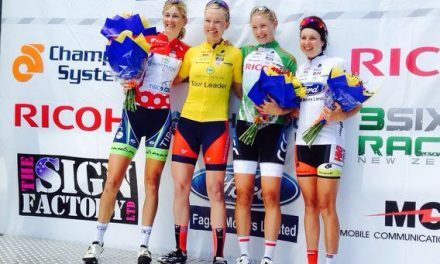 My happiest cycling memory is racing the junior World Road Championships in Valkenburg. It was my 18th Birthday and my Mum and Dad had surprised me by flying over to watch me race. My Grandparents were also on a trip overseas and they also decided to come and watch me race. It was so special climbing the Cauberg and hearing them cheer my name. The last time I went up the climb they yelled out “Happy Birthday Georgia” and that really is a great memory.It was one of those days on the bike that I took everything in and can still picture really clearly. Q. Why the High5 Dream Team? A. 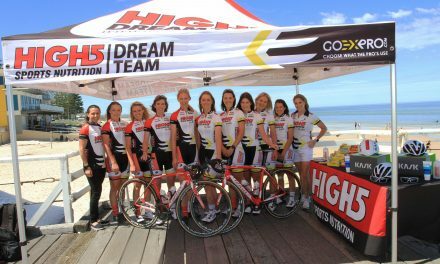 It is really exciting to be apart of such a professional team like the High5 Dream Team. I can’t wait to ride with some of Australia’s most successful cyclists.We have a terrific race program and our sponsors are providing us with the best equipment possible. The other exciting thing about the High5 Dream Team is that it will give my teammates and myself the opportunity to learn and develop. A. I’m really looking forward to working with Rochelle Gilmore and Donna RaeSzalinski who are such great ambassadors for women’s cycling. I have worked with both Rochelle and Donna in the past and I know that they do their very best to support all of their riders. I know we are going to be looked after so well and be supplied with the best equipment on the market. A. I would really like to have a successful 2015 with the High5 Dream Team. I would love to win stages of the National Road Series and support my team in any role to ensure we finish high up in the General Classification. I can’t wait to start racing. A. I can’t go past my mums lemon chicken Pasta… it’s delicious! A. That’s a tough one, I usually crave something sweet straight after the race so I have some lollies. I also like a good steak for dinner that night. A. To win stages and support my team. Q. If you could win one of the NRS races this year, what would it be? A. I would love to win the Tour of the Murray, as it is a race I have been competitive in previously. Short Term Goals: To perform well at the Australian Track Cycling Championships and to win stages of the National Road Series. Long Term Goals: Team Pursuit team for the Rio Olympics.